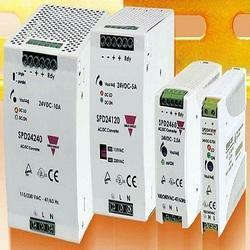 CarloGavazzi India Chennai is the headquarters for Sree Dhanam Automation Pvt. Ltd they also deals with fotek India, meanwell India, Our major customers are presented in all over India. We are covering the following products like carlogavazzi sensor chennai, carlogavazzi ssr, carlogavazzi smps, carlogavazzi relays, carlogavazzi proximity, carlogavazzi inductive sensors, carlogavazzi capacitive sensors, carlogavazzi light curtain, carlogavazzi meters etc. We are covering cities like Carlogavazzi smps Chennai, Madurai,Carlo gavazzi Coimbatore, Pondicherry, Bangalore, Hubli, Hyderabad, Vizag, Mumbai, Biwadi, Meanwell Delhi, Pune, Noida, Haryana, Faridabad, Ghaziabad, Carlogavazzi Gujarat, Baddi, Indore, Surat, Fotek Ahmedabad, Vadodara, Vapi, Maharashtra, Madhyapradesh, Kolkata, Westbengal, Udaipur, Jaipur, Punjab, Silvassa, Ludhiana, Kashmir, Goa, Uttarpradesh, Jharkhand, Odisha etc. We are the importers of carlogavazzi, fotek, meanwell. Product description: Carlogavazzi chenni has multi function diffuse ultrasonic sensor with a sensing range of 50 to 2200 mm in three ranges. 2 switching outputs - easily set up for two different output modes and adjusted by teach-in - makes it ideal for level control tasks in a wide variety of vessels. A sturdy one-piece polyester housing provides the perfect packaging for the sophisticated microprocessor controlled and digitally filtered sensor electronics. Excellent EMC performance and precision are typical features of this sensor on true distance measurement. Owing to our State-of-Art manufacturing unit and the usage of leading-edge technology, we are able to present a comprehensive range of Carlo Gavazzi SMPS. Keeping in mind current market development, this SMPS is manufactured by our vendor’s qualified professionals employing premium quality raw material and modernize tools. Apart from this, our quality inspectors perform a series of quality test on the entire range ensuring its flawlessness.